Our Imaging Modules are based on long-term experiences in development, design and production of high performance imaging systems for different branches. The integration of the Jenoptik board-level cameras into your system solution for digital image recording warrants high image quality and reliability of your entire system. The digital imaging modules are available for numerous applications and requirements due to the different sensor technology used. 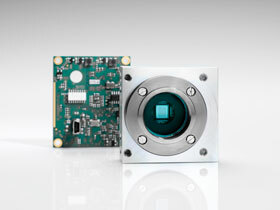 Hence, we offer a large variety of CCD and CMOS sensors with high resolutions for routine applications in industry and science, warranting high live image rate and outstanding colour reproduction. 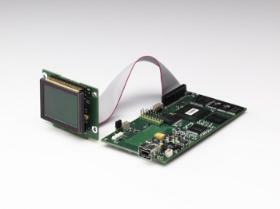 Our sensitive CCD imaging modules are especially recommended for light sensitive applications and are optionally available with cooling and in color or monochrome. 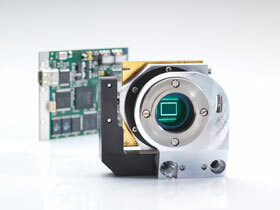 These powerful board-level cameras based on CMOS technology are perfectly suitable for image recording in Imaging Systems for industry, medicine and security. The imaging modules are furnished with either USB 2.0 or IEEE 1394 FireWire A interfaces and deliver high image quality as well as very high image refresh rates, providing even real-time image recording and offering an excellent price-performance ratio. Reliable and high data transfer rates are granted by the IEEE 1394 FireWire A interface. The Software Development Kit (SDK) included in delivery allows for easy integration of the imaging modules and offers different resolutions and read-out modes to fulfil customized requirements to imaging system solutions in industry and science. The SDK is available for Windows, Macintosh or LINUX operating systems and includes Labview driver and ActiveX Control. 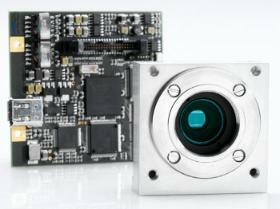 The CMOS board-level cameras for routine applications are available in different resolutions of up to 5.0 megapixel in color or monochrome. 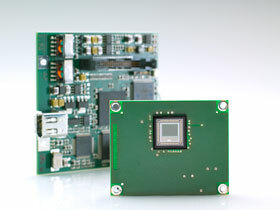 The high performance of the CCD sensors in combination with a low-noise electronics is the basis fort he extraordinary images quality as well as the exact color reproduction of our CCD Imaging Modules. 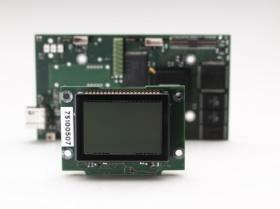 With resolutions of up to 7 megapixel high quality results in image analysis - or documentation are achieved. High image refresh rates allow easy focussing. Reliable and high data transfer rates are granted by the IEEE 1394 Firewire A interface. The Software Development Kit (SDK) included in delivery allows for easy integration of the imaging modules and offers different resolutions and read-out modes to fulfil customized requirements to imaging system solutions in industry and science. The SDK is available for Windows, Macintosh or LINUX operating systems and includes Labview driver and ActiveX Control. 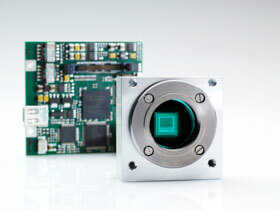 Highest demands to digital imaging systems even in low-light contrast methods or in electron microscopy are met by the sensitive and optionally cooled CCD Imaging Modules. The integrated Microscanning-Technology provides images in highest resolution and excellent image quality up to 12.5 megapixel. 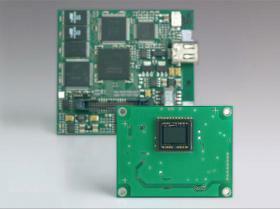 Optionally available without IR-cut off filter the monochrome modules are also suitable for IR-Imaging. The high image refresh rates of the imaging modules furnished with USB 2.0 or IEEE 1394 A grant real-time image recording. For integration of our imaging modules as well as ProgRes® Microscope cameras into digital image acquisition and analysing systems we offer one uniform Software Development Kit (SDK). Especially system integrators as well as OEM customers benefit from this SDK as it allows to smoothly integrate our Imaging modules into an existing software environment or even to generate a new graphical user interface according to specific requirements. 1. the example program ?MexWin.exe“, with the ability to test nearly all functions without any programming effort in advance. The Source Code of the ?MexWin.exe“ test program is also part of the SDK. 2. the program "Camera TypeViewer", providing an easy and fast overview over the most important parameters of the different imaging modules or the corresponding ProgRes® cameras, and hence offering an even more comfortable integration. 3. our "MexLogMan" allows fast, easy and especially targeted error research to test the Source Code. In case of lacking knowledge in programming in C++ the Imaging Modules as well as ProgRes® cameras can be controlled by an ActiveX-Control, or LabView Control widely-used at universities. Both the options allow users to realize the implementation of our imaging modules in existing software environments within 1-2 days. The ProgRes® SDK and all its modules are Windows XP, Windows Vista, and Windows 7 compatible. The ProgRes® MAC SDK supports Apple Macintosh operating systems, the ProgRes® LINUX SDK is available for supporting Linux systems! The Software Development Kit for Windows PC supports ALL Imaging Modules as well as ProgRes® cameras (Windows XP / VISTA / WIN 7). The Software Development Kit for Apple Macintosh supports the FireWire-based Imaging Modules and ProgRes® cameras (MAC OS 10.4 / 10.5/ 10.6). 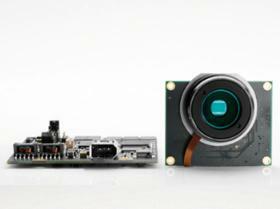 The Software Development Kit for LINUX supports the FireWire-based Imaging Modules and ProgRes® cameras (Linux Ubunto und Suse10).